Originally named Charles Town by early English colonists in honor of King Charles II, the South Carolina port city of Charleston was founded in 1670. “The Holy City,” as it has come to be known, was given the moniker for its hundreds of places of worship that grew out of the city’s early philosophy that growth and prosperity would come from religious tolerance. Today, Charleston’s picturesque skyline is dotted with church steeples and spires representing over 400 places of worship for different denominations. 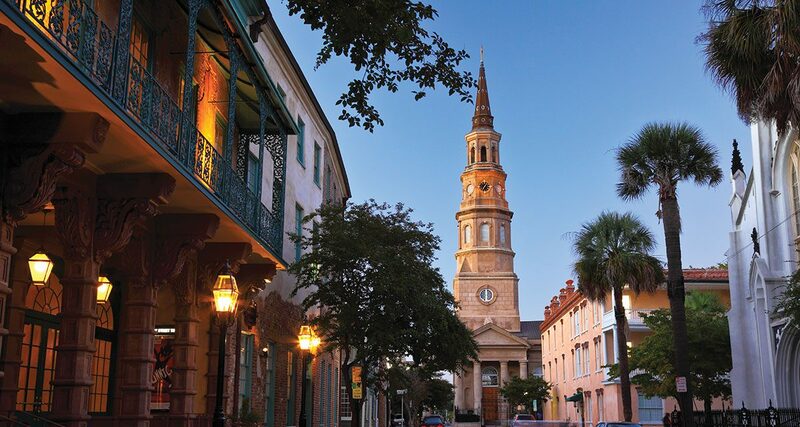 Regularly rated among America’s best locations by travel magazines and websites, Charleston was named the “No. 1 Small City in the U.S.” by Condè Nast Traveler, the “No. 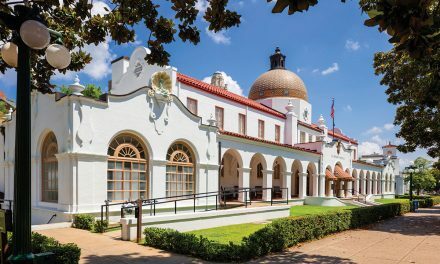 1 City in the U.S.” by Travel + Leisure, and the “South’s Best City” by Southern Living in 2018. 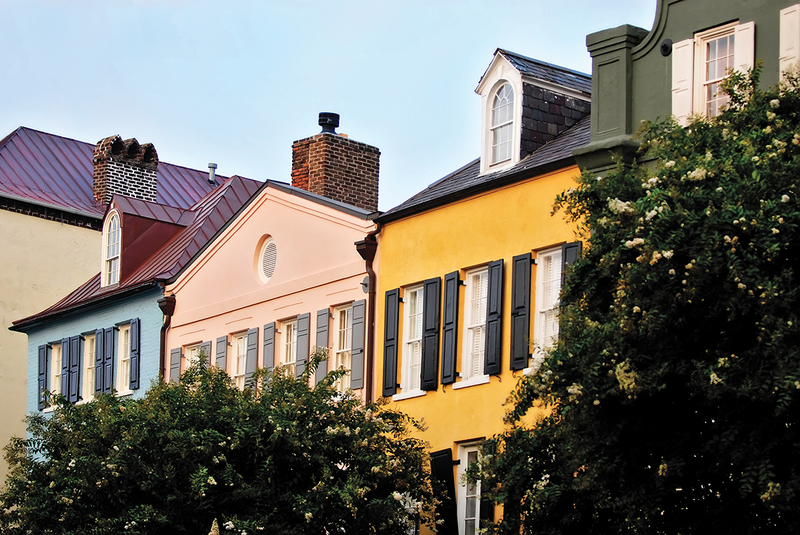 Historic Charleston is defined by its cobblestone streets, horse-drawn carriages and pastel antebellum houses, particularly in the elegant French Quarter and Battery districts. The Battery promenade and Waterfront Park both overlook Charleston Harbor, while Fort Sumter, a federal stronghold where the first shots of the Civil War rang out, lies across the water. It would be easy to spend a long week exploring all the preserved history of Charleston. Its antebellum and Georgian style architecture, storied history, and sumptuous food scene have earned the city a reputation as the quintessential Southern city. 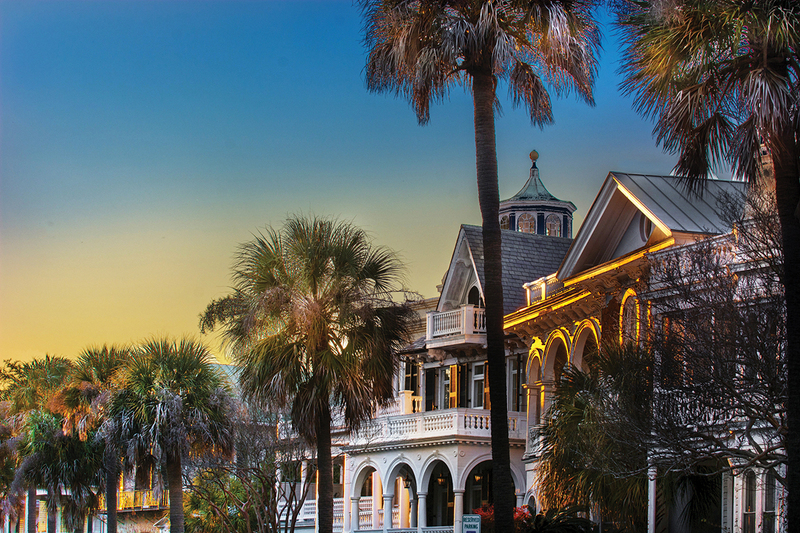 There’s plenty to see and do in this gorgeous city, including visitor favorites like the South Carolina Aquarium, the beaches of Sullivan’s Island, or the long list of historic sites, but Charleston also offers visitors incredible shopping and adventurous cuisine. That’s why we’ve put together a list of the best shopping and dining spots to check out in Charleston during your visit. Get started with a pleasant carriage ride to get your bearings and make the most of your time. Palmetto Carriage Rides offers hour-long guided tours throughout the city center. SHOPPING AT CITY MARKET Once you’ve completed your carriage tour, it’s time to start your shopping excursion at City Market in downtown Charleston. One of the nation’s oldest public markets and the cultural heart of Charleston, it is home to more than 300 vendors, and it’s Day Market is open daily from 9:30am – 6:00pm except December 25th. The evening Night Market is an exciting showcase of more than 100 talented artists and craftspeople that occurs every Friday and Saturday evening from April – December. It runs from 6:30pm – 10:30pm and is a free event that offers live entertainment and a festive atmosphere in a three-block-long open-air market. All Night Market vendors are 100% local with 100% locally-made items for sale. It’s the perfect spot to grab that uniquely Charleston souvenir or piece of artwork. SHOPPING KING STREET Next stop, King Street, where there are more than three dozen antique malls alone. King Street is regularly listed among the best shopping streets in America and hosts the city’s trendiest restaurants and sophisticated cocktail scenes along with hotels, art galleries, flourishing businesses, and a lively nightlife – not to mention some seriously exceptional shopping. The area is lined with luxury brands, designer boutiques and stylish jewelry storefronts that stretch over sixteen blocks divided into three distinct shopping districts: Lower King Street Antiques District, Middle King Street Fashion District, and Upper King Street Design and Dining District. Lower King Street, the oldest of the three neighborhoods, is home to George C. Birlant & Co., one of the largest and oldest antique establishments in the southeast. The eponymous founder, George Birlant, is one of the most highly respected antiques dealers in the nation. One of the most fantastic places in Charleston is the century-old Croghan’s Jewel Box, found in the Middle King District. The store boasts a large collection of estate and antique jewelry, beautiful antique silver and unusual gifts. It also carries a large selection of eccentric vintage jewelry pieces that have become difficult to find. DINING IN CHARLESTON After a few hours of shopping, it’s time to enjoy a tasty cocktail and some of Charleston’s best food. Bustling Upper King Street in the Design and Dining District houses some of the best home furnishing shopping and interior design decor in the country. It also showcases some of Charleston’s best restaurants and hosts a variety of events year-round. Upper King Street reflects a citywide trend of a growing and thriving food and beverage industry with its energetic nightlife and the city’s finest new restaurants. If you’re looking for an old school night on the town, Hall’s Chophouse is sure to deliver. There’s usually an enthusiastic singer on the piano, hearty steaks, jumbo shrimp cocktails, ladies in their best dresses, men in suits patting each other on the back, and plenty of martinis. Those who are really into seasonal produce should stop by The Grocery, as chef Kevin Johnson is usually one of the first in town to put local farm fresh products on the menu like butternut squash in the fall or English peas in the spring. The expansive Cannon Street space, full of lots of wood and jars of pickled produce, is a great stop for friends to share as many plates as the table can handle. The whole roasted fish with potatoes, fennel and green olives is a Instagram-worthy crowd pleaser. 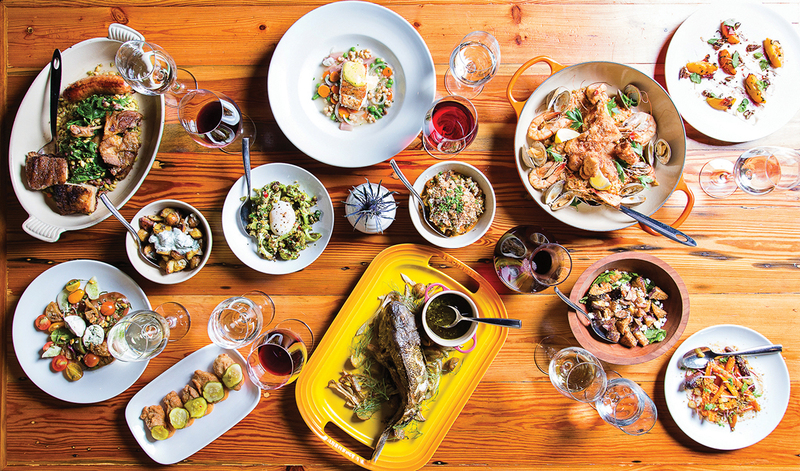 Combine fancy champagne, cheap beer, fried chicken, and a casual raw bar — all housed in a retrofitted auto body shop — and you get Leon’s Oyster Shop. The menu has plenty of salads for the lunch crowd and soft serve for the kids. The owners put a lot of thought into every detail, so go marvel at the wondrous interiors full of quirky folk art and thrift store finds in between char-grilled oysters. 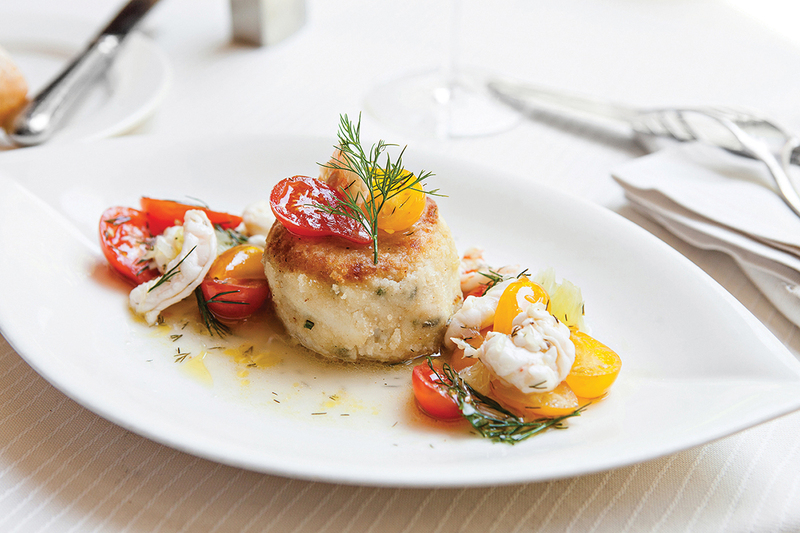 Those looking to make an impression should reserve a table at the Charleston Grill. Located in the lovely Belmond Charleston Place on Lower King, the Grill is home to one of the most elegant fine dining menus in Charleston. The opulent dining room and sublime service turns any visit into a special occasion. The rich and meaty crab cakes are always a hit, but don’t fail to check out the more internationally influenced dishes like the scallops with chili-chorizo vinaigrette or Norwegian ocean trout with caponata, blood orange, and freekeh. EXPLORE MORE Don’t forget there are tons of other activities in Charleston. 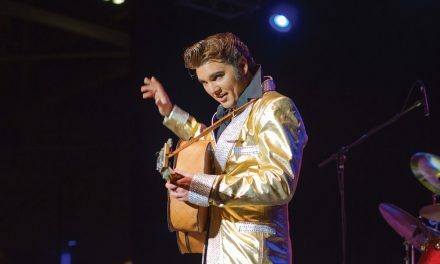 Once you’ve finished shopping and dining, you can explore more historic attractions near King Street, go dancing at The Commodore jazz club, check out the USS Yorktown and Patriots Point, tour Fort Sumter, or sip some tea at the Charleston Tea Plantation. The choice is yours.